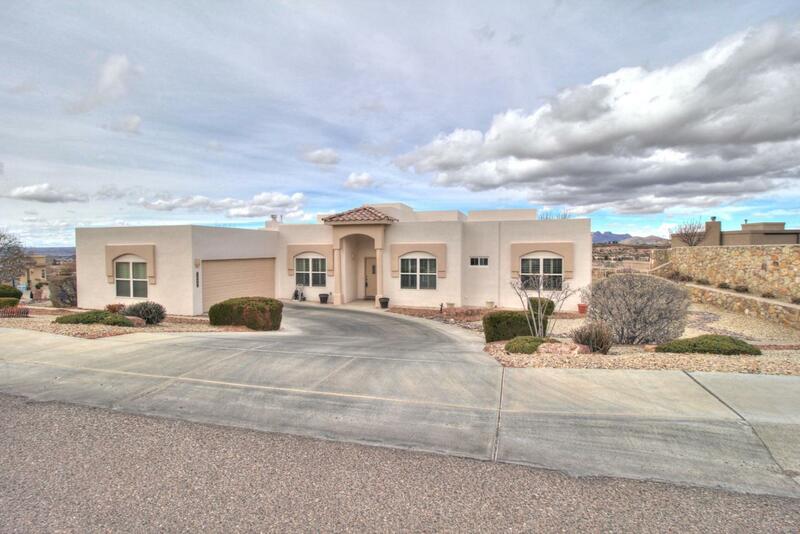 Spectacular Robledo and Dona Ana Mountain views! This gorgeous custom home has plenty of windows to capture the mountain sunrises and sunsets. Located in The Ridge at Northrise subdivision, this single family home features 2,583 square feet of living space including 3 bedrooms + an office, 2.5 bathrooms, 2 living areas, and formal dining. Be impressed with the stunning Brazilian cherry wood floors, plantation shutters, and granite throughout the home. Enjoy cooking in the open kitchen with granite countertops, stainless steel appliances, custom cabinets, breakfast bar, and walk-in pantry. The home is situated on a .33 acre corner lot with RV access. There is an oversized 2 car garage with plenty of storage and additional parking on the large driveway. Outdoor features include covered patios, landscaped yard with sprinklers and a drip system and pomegranate trees. Spend your evenings sitting around the fire pit enjoying the New Mexico sunsets.